Sewing with satin takes a bit longer to learn than with other fabrics because of the smooth texture of the fabric. Satin fabric is made using the satin weave, which creates a soft, shiny and slippery fabric. Although there are many uses for satin, its most popular use is in bridal, and wedding wear. It’s very stylish for many dresses, skirts and tops. With that said, anyone can obtain a professional look with a bit of patience and practice. A good quality sewing machine can definitely help, but you’ll also want to follow the guidelines below when sewing with satin. If this is your first time with satin, you can try your hand at making this hair scrunchie in a satin material. Hair scrunchies do not have to be perfect, so it’ll be good practice in both machine and hand sewing. 1. Be careful not to get any creases into the fabric as these are difficult, if not impossible, to get out. When storing the fabric, make sure to fold it neatly, or roll it up loosely to prevent creases from forming. Any small crease will be highly visible in the finished garment. And trying to get them out might just ruin the fabric. So it’s best to take extra care when handling the material. If you take a look at the tablecloth above, you’ll see I learned the hard way. 2. The light reflects differently from different angles of the fabric, so be sure to always use the ‘with nap’ to keep the fabric shine consistent. Otherwise you’ll end up with a multi-colored garment. And believe me, it’s highly noticeable! 3. Satin is slippery and difficult to keep in place while cutting; to prevent this from happening, pin the edges down on tissue paper with fine satin pins. 4. Because satin snags easy, you should always use fine pins designed for satin fabrics. NEVER use regular pins, or any cheap pins, as they will snag and ruin the fabric. As for you scissors, they should also be sharp and of good quality. 5. Pinning satin can leave permanent holes in the fabric; so make sure to only place pins within the seam allowance. 6. Always make your markings on the wrong side of the fabric either with an air soluble marking pen or tailors chalk. Never use a water soluble marker, which can leave spots; nor should you use a tracing wheel which can leave unwanted holes and/or snags. 7. Pleats and tucks may be press marked with the pattern piece still pinned to the fabric. This reduces the need to pinning and marking, thus helps your fabric to maintain its elegance. 1. Use an extra fine, mercerized cotton, cotton covered polyester, or 100% polyester long staple thread. 2. Use a standard needle size 9-11 (65-75). 3. Change your needle frequently to avoid snagging of the fabric. This may seem like a waste, but it’s better to throw out your needles than to ruin your garment. 4. 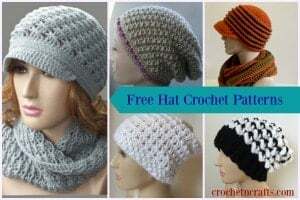 Set your stitches to about 10-15 stitches per inch. 5. Increase the pressure on the presser foot, or hold the fabric down firmly to prevent it from sliding during sewing. 6. Use silk thread when basting, because it will leave the least amount of markings on the fabric. 7. Satin should not be worn tight. Line or underline fitted bodices and skirts to reduce the strain on the seams. 1. When pressing always test on a scrap piece of fabric. 2. Never use steam, but always use a dry iron to prevent water spotting. 3. Press on the wrong side of fabric whenever possible. When necessary to press on the right side, always use a pressing cloth to avoid ruining the fabric. 4. Be careful not to over press satin, as this could ruin the fabric. Also, test your iron on a scrap piece of fabric. 5. Seams should never be pressed flat because satin is meant to have a softer look around the seams. 6. Use a seam roll, or place a piece of paper underneath the seam edges to avoid seam impressions on the right side of the fabric. 1. When hemming satin you can make a rolled hem by hand or by machine, or you can use an interfaced hem which you can do by hand. 2. Rolled hems should be used for curved areas and a french seam is great for straight seams. 3. Use sew-in woven or non-woven interfacing. You can also use organza or organdy for lightweight satins. 4. When finishing seams with a serger, use lightweight thread, or wooly nylon to prevent thread imprints on the right side of the fabric. Sewing with sating takes a bit of practice and you should be comfortable with at least the basics of sewing before you attempt to sew with satin. Otherwise, you might end up frustrated and give up. 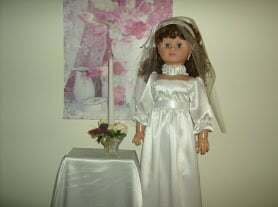 I practiced on a doll dress, as you can see in the above image. It was far from perfect, but the little girl was happy to receive it, and that gave me the confidence I needed to move on. I only came to see how “satin pins” were different from regular ones. A veritable wealth. Thank you!